Hossein Vossough was born in Iran. He had two wives, Aghdaz and Fatemah, and four children. 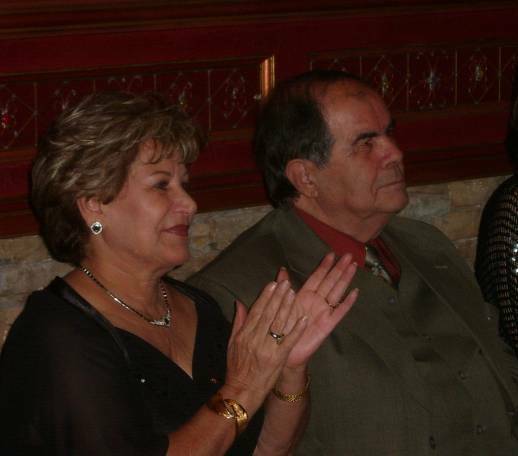 Fatemah, his second wife, lives in Alpharetta, GA, while Aghdaz lived with Hossein in Mashad, Iran. His grandchildren call him bubba joon, which means "father dear" in Farsi. On October 6, 2005 Aghdaz died in Iran. Parviz Vossough 1948 - ? Nasser Vossough 19?? - ? Khosrow Vossough 19?? - ? Shoreh Vossough 19?? - ? Sharyar Vossough 19?? - ? Last modified on April 25 2006 by Bradley James Wogsland.